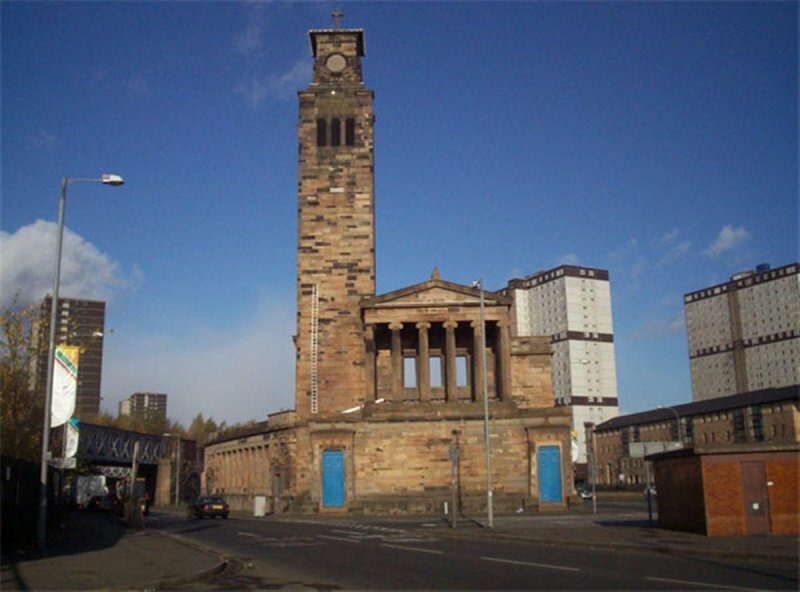 1963: The congregation vacates the church, which is then purchased by Glasgow District Council. October 1965: The church is gutted following an arson attack. It is subsequently partially demolished. October 1992: External inspection reveals the church to be a burnt out shell, isolated by roads on all sides. 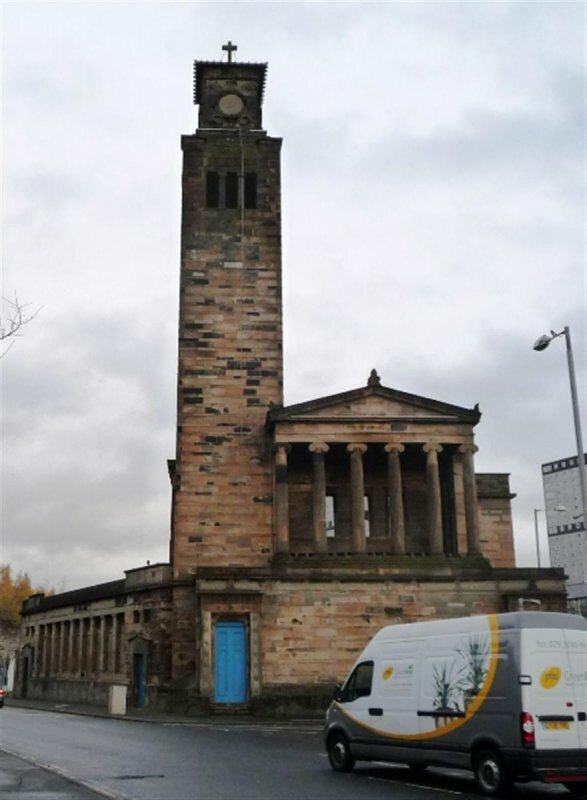 Although owned by Glasgow District Council, it is currently on a 60-year lease and the leaseholder has planning consent for a restaurant conversion. 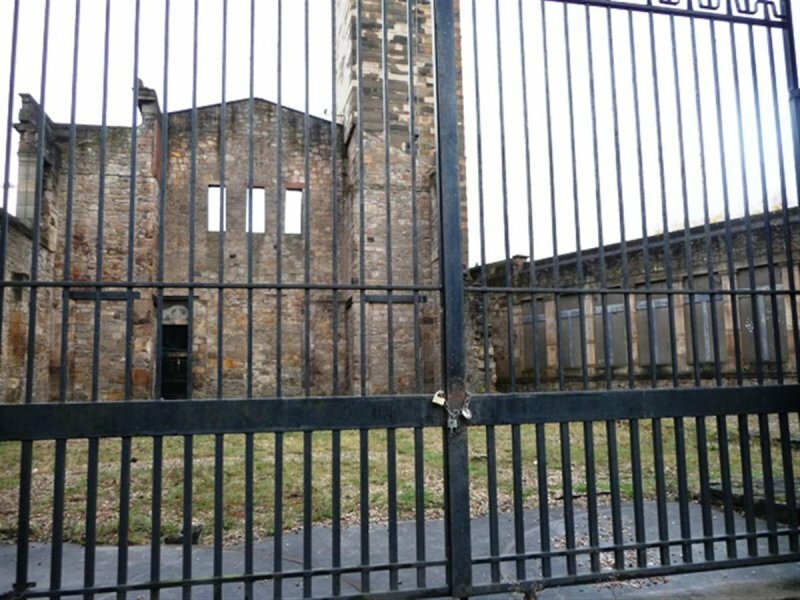 However, feasibility studies by the Glasgow Building Preservation Trust have shown that at least £1.8 million would be required for restoration. January 1994: Local planners report that some emergency repairs have been carried out. 31 January 1995: Press reports note that the London-based Historic Buildings Trust has launched a plan to redirect the traffic flows around the building by realigning roads and demolishing railway arches. October 1995: Local planners report that Glasgow District Council has adopted HBT's plan to demolish the redundant railway viaduct to the west of the church. However, the re-routing of the main road has been rejected. A restored church would therefore remain cut off from the proposed new housing to the east. 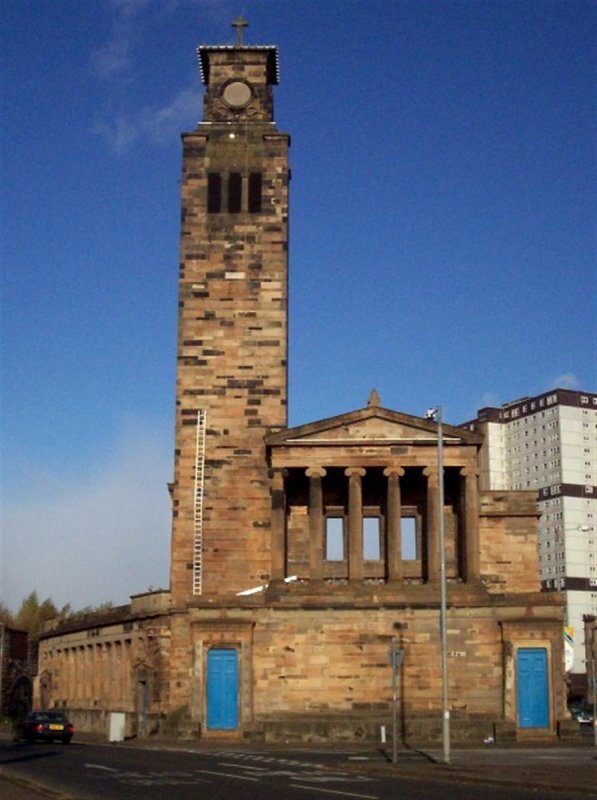 Historic Scotland has asked Glasgow Building Preservation Trust to investigate new uses for the church. April 1996: Permissions are sought for fabric repairs and the erection of floodlighting as part of the Crown Street Regeneration Project to develop brownfield sites in the Gorbals. SCT welcomes the proposals and permissions are subsequently granted with conditions. 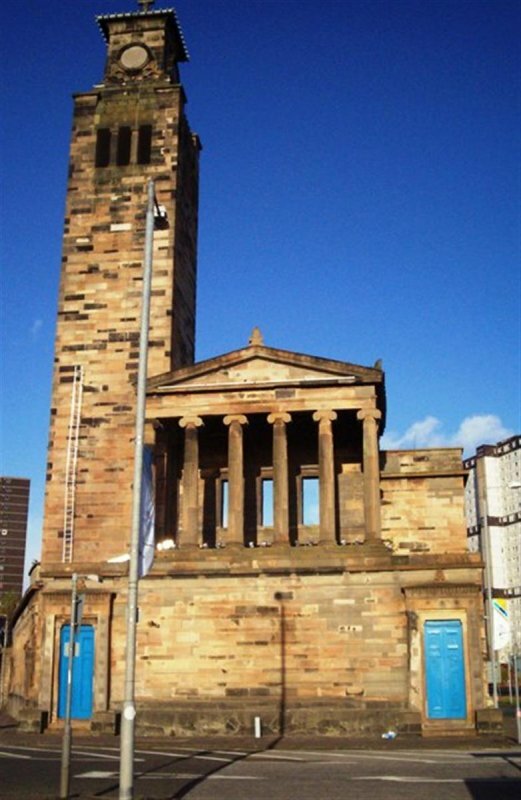 9 July 1996: The Glasgow Evening Times reports that Historic Scotland and the organisers of Glasgow's 1999 City of Architecture festival are keen to see the building restored. 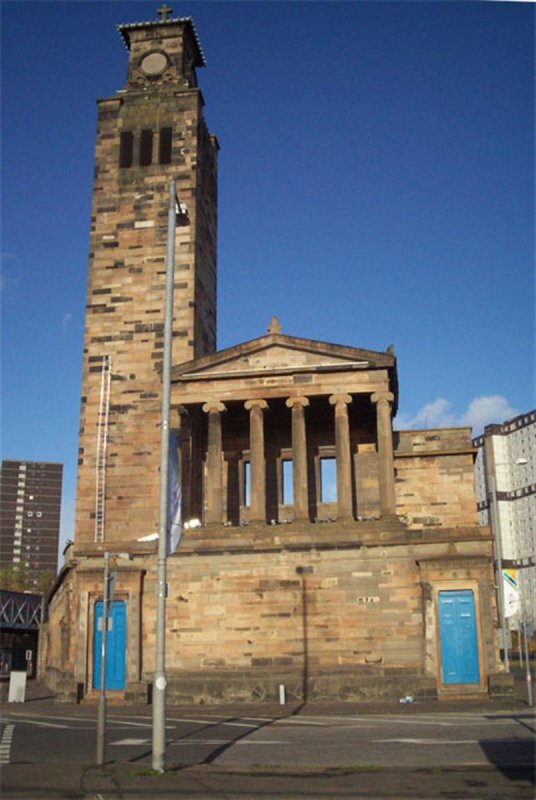 Religious charity the Iona Community has been in discussions with the Glasgow Building Preservation Trust with regards to basing its mainland HQ in the church. 8 December 1997: The Herald reports that Glasgow City Council has drawn up 3 options for the surrounding road layout. 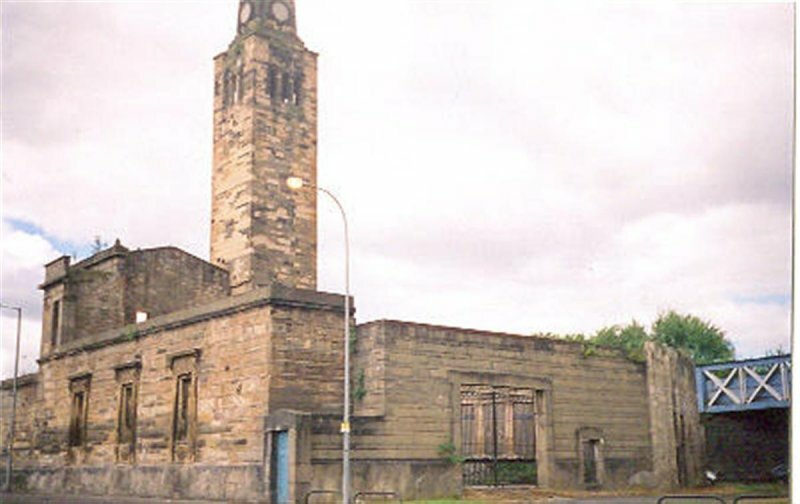 The preferred option is to move the extension of Cathcart Road in order to provide space around the church and ease traffic flow on the east side. The church would be fronted by a paved area. The private development of tenemental properties, which would adjoin the church as in the original designs, could help to pay for the plans. 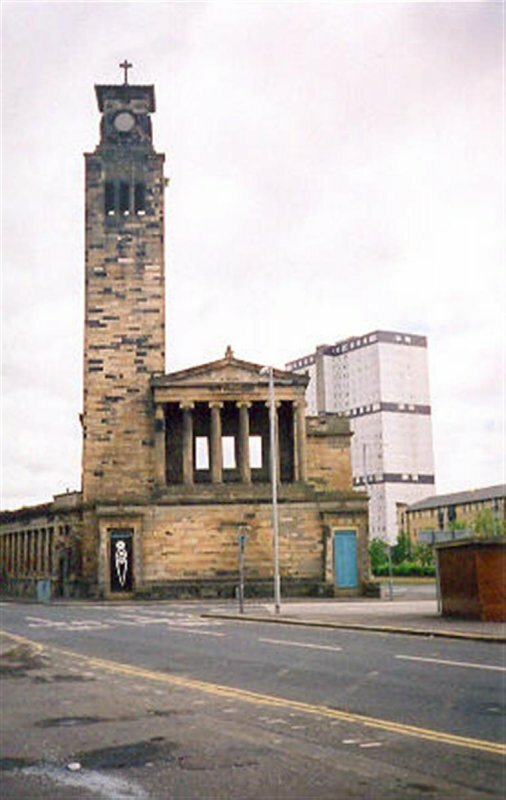 June 1998: A Development Design Guide for the church and the surrounding area is prepared by Glasgow City Council. It is trying to put together a joint funding package with the Crown Street Regeneration Project which would permit essential repairs and stabilisation works to be undertaken. 27 July 1999: The Herald reports that repairs works will commence in September, following £250,000 of joint funding from Glasgow City Council, Historic Scotland and the Glasgow Development Agency. A £10 million financial package to allow permanent restoration is being put together with the Crown Street Regeneration Project. Lauriston Road will be realigned to the west so that the church is no longer isolated and is joined to the rest of the Crown Street development. 29 July 1999: The Scotsman repeats the story. 5 August 1999: The Glaswegian repeats the story. 2002: Local planners report that integration with the New Gorbals development will be investigated once the routes of the proposed M74 extension and Carmunnock Rail Link are finalised. 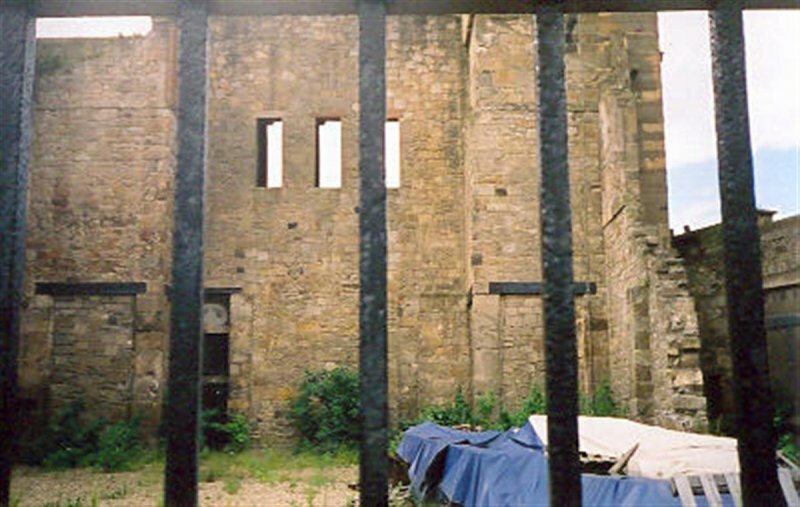 June 2004: External inspection reveals the church to remain ruinous and isolated. 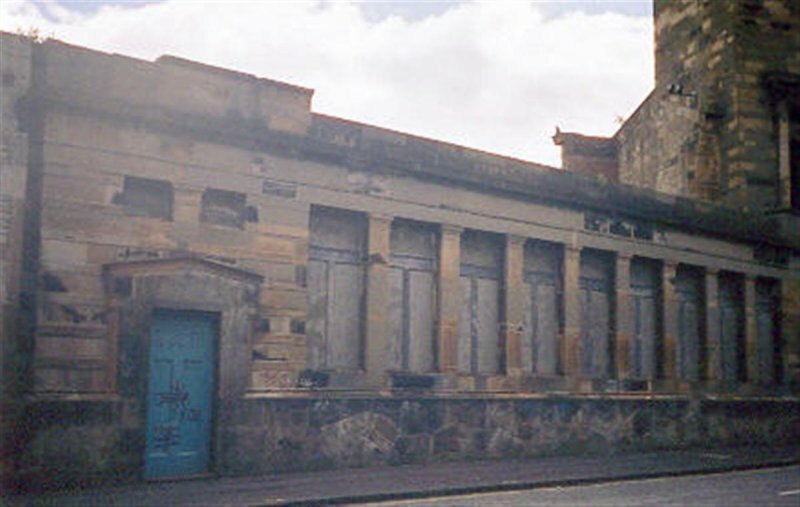 November 2007: External inspection reveals the property remains ruinous. That the doors appear to have been recently repainted, and as foliage growth is quite low, suggests regular maintenance is taking place. 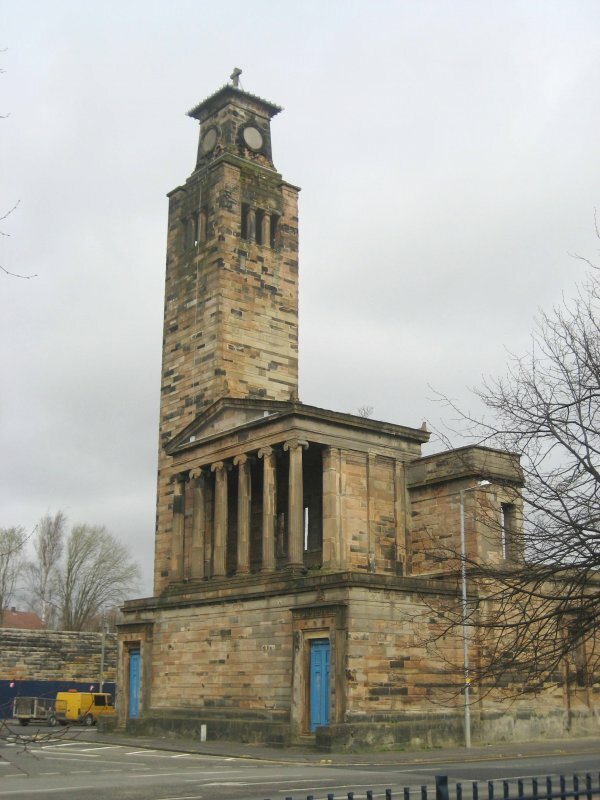 April 2009: The Herald reports that planning permission has been lodged for the former church to convert it into a study centre/display area on the works of "Greek" Thompson. 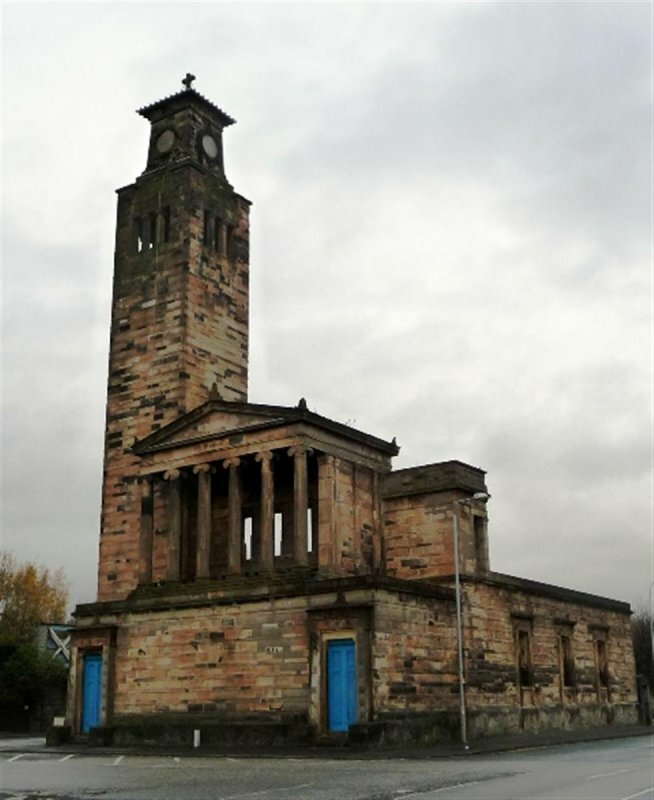 June 2009: The planning application for the redevelopment of the church was brought before the Glasgow Urban Design Panel. The proposals are for a mixed use development comprising: Alexander Thomson Gallery & Museum, café/bar and 10 serviced apartments. 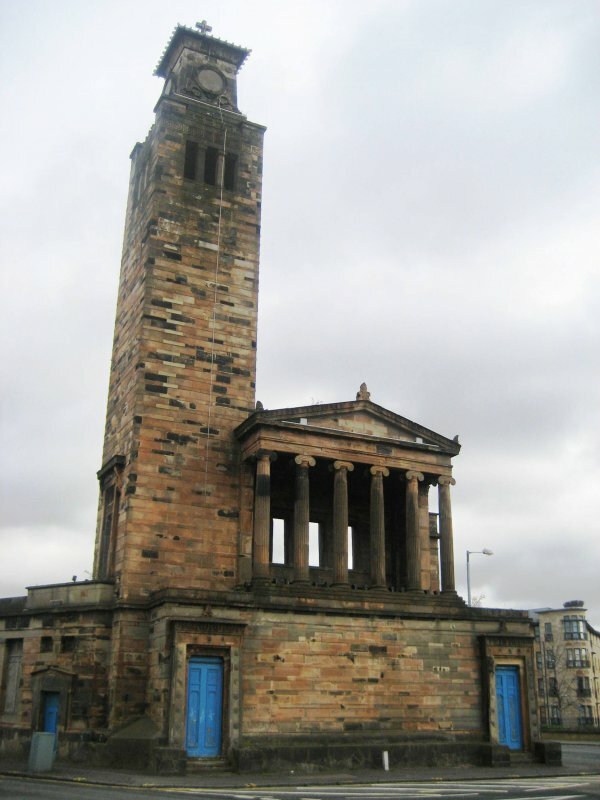 September 2009: The Herald reports that detailed plans for reuse and development of the former church by the Alexander Thomson Society have been approved by Glasgow City Council, subject to conditions on materials. The plans includes the creation of three galleries, a public study area for Thomson material, a cafe bar, meeting rooms and a new build 10 apartments for tourist accomodation. 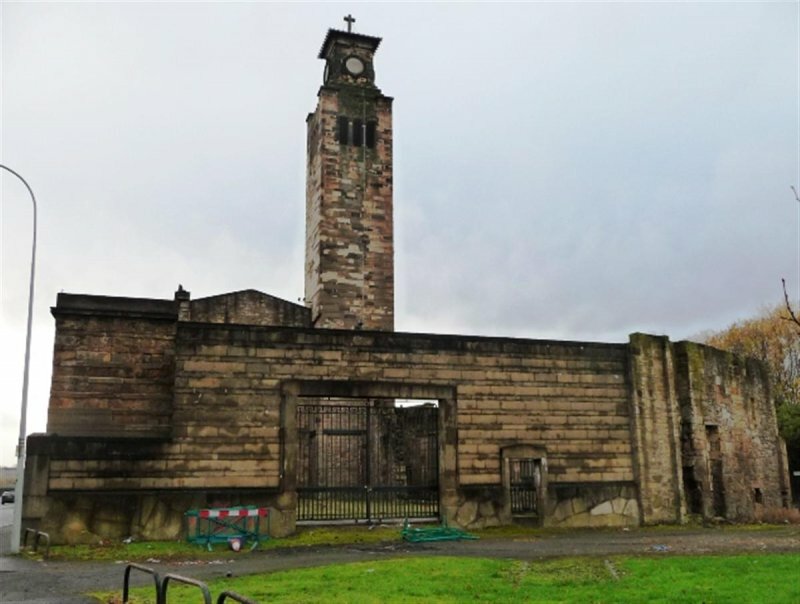 The article goes on to note that the New Glasgow Society raised concerns over the scale of the proposals for the site, and that the proposed newbuilt would dominate the church. The Evening Times repeats the story. November 2010: External inspection finds the building remains ruinous. The only roofed sections are the tower and the temple, both of which are suffering from damp. This is also a problem in some other parts of the structure. 25 October 2013: Local planners advise fundraising for the redevelopment of the site continues. 25 March 2014: External inspection finds the building remains in much the same condition as seen previously as a stabilised ruin.